Ethernet power meter is a three-phase multifunction power and energy meters manufactured by RADARKING. These meters provide excellent value for monitoring power and energy management systems. It may be used as data gathering devices for intelligent power distribution or plant automation systems. All monitored data is available via a standard digital RS485 communication port running the Modbus RTU protocol. 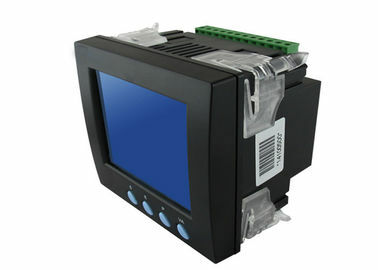 It has the PC software and the data logger function, which can set by end users from 1min to 60min intervals to record. You can read the data in PC. Also, you can share the data in the Internet LAN. By the way, it can measure the harmonics.With a wide range of models to choose from, the 2200A power meter offers unparalleled value and functionality. Metering of distribution feeders, transformers, generators, capacitor banks and motors. Medium and low voltage systems. Connection Mode 3P4W, 3P4W BAL, 3P3W, 3P3W BAL, 1P2W, 1P3W. Programmable Measuring System 3P4W/3P3W etc.